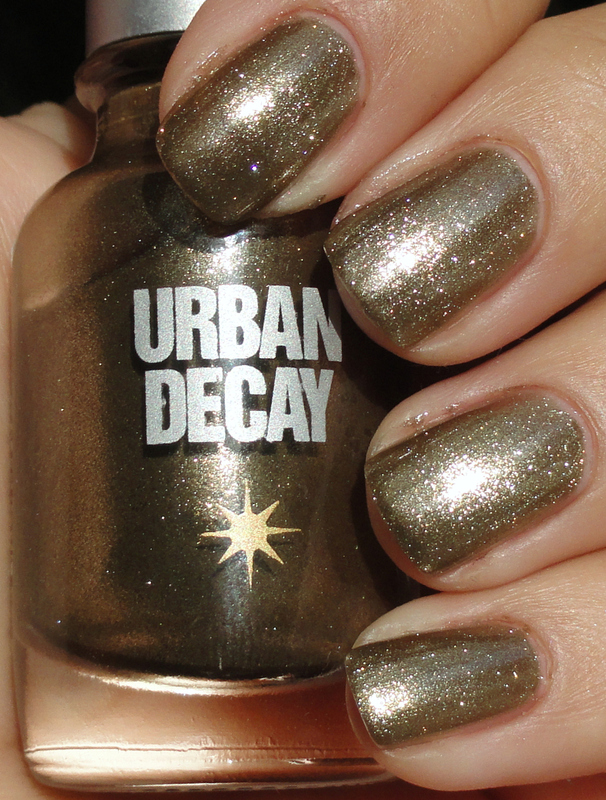 Urban Decay Twisted is a long ago discontinued polish from the past. I acquired this rare vintage gem from a lovely gal in a swap. I seem to be craving more "antique" polishes lately, so I apologize if I am giving you hard-to-find lemmings by showing them on my blog. Sometimes when I find myself aching for inspiration and feeling sluggish in wanting to paint my nails, I think about my rare beauties and it gets me all shook up inside and happy for lacquer again. 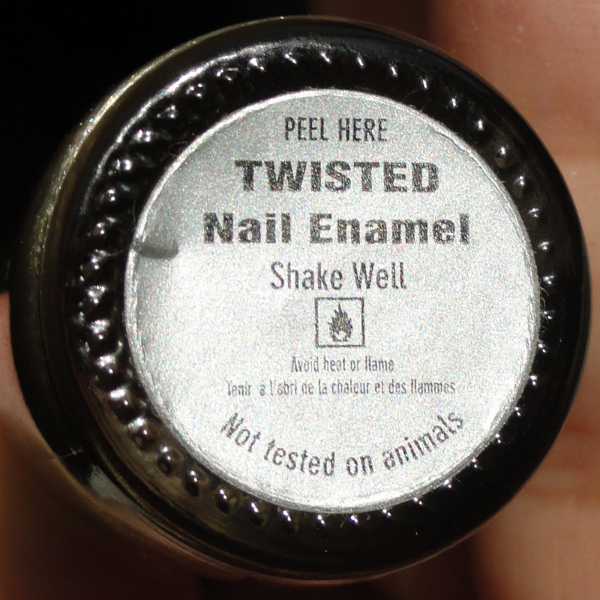 Twisted is a unique polish, sheerish (4 coats worth), sandy dirty antique gold with lots of shimmer that flashes brilliantly. I am in deep lust with this fellow. He shall be mine foreva. 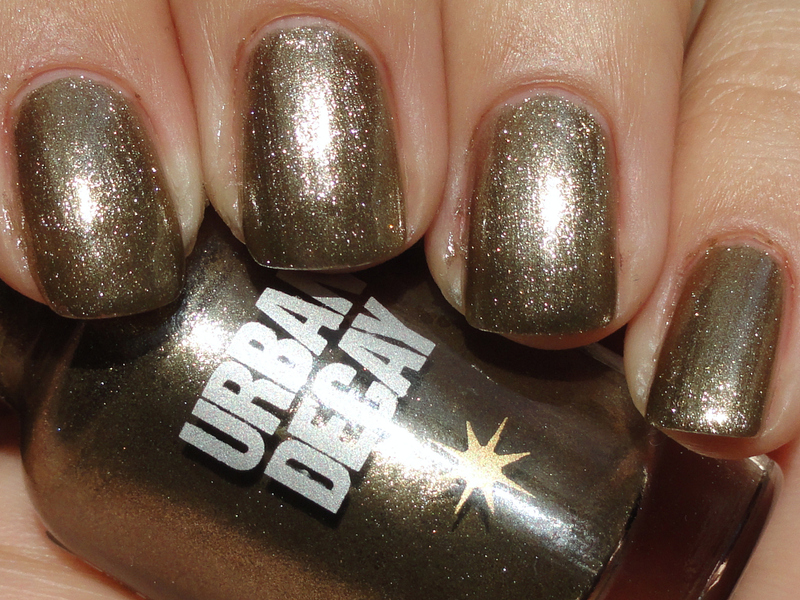 Urban Decay, bring back the gorgeous old polishes you used to spoil us with PLEASE! !